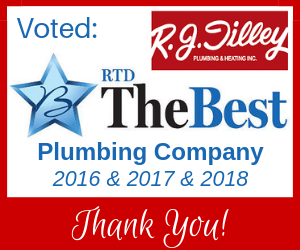 The plumbers at R.J. Tilley Plumbing & Heating, Inc. are experts in water heaters with many years’ experience. 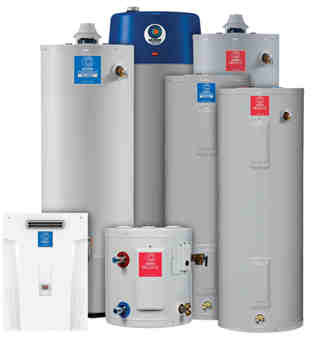 Our plumbing technicians are well-trained and know the in’s and out’s of all kinds of water heaters including electric, gas, hybrid, and tankless water heater models. Water Heater Service Available 24/7. In many cases, water heaters can be repaired. Our water heater repair specialists can make an assessment of your water heater based on age, condition and other factors to help you make the most economical decision. Sometimes, water heaters don’t heat water properly because they need to be flushed and cleaned. As recommended by the manufacturer, R.J. Tilley can flush and clean water heaters which can restore heating capability and improve efficiency. Don’t let water heater leaks keep you up at night. We install water heaters in a drain pan and can install an alarm that will sound if a leak is detected. All of the new water heaters we sell offer a 6, 10, or 20 year warranty, so you’ll enjoy years of trouble-free service. We can also install new emergency shut off valves, if needed. Of course, if you don’t know where your existing emergency shut off valves are located in your home, just ask and we’ll show you.